The Catholic Church kept meticulous records and researchers find these baptismal, marriage and burial records especially helpful for tracing their New Mexico ancestry back to the late 1600s. The Genealogy Center has available records on microfilm and also has books of extracted and translated records. A list of early Catholic Church records for New Mexico and southern Colorado available on microfilm at the Genealogy Center. The Genealogy Center has copies of all available microfilmed Catholic church records for New Mexico and southern Colorado. Microfilmed church records available at the Genealogy Center are primarily from the Archives of the Archdiocese of Santa Fe. Originals are located at the Archdiocese of Santa Fe Office of Historic Artistic Patrimony in Santa Fe. Records from the Diocese of Gallup are available from the Diocese of Gallup office in Gallup. Some of these microfilmed records are also available at the Hispanic Genealogical Research Center of New Mexico office in Albuquerque and the Genealogy Center has extraction books for this microfilm. Records from the Diocese of Las Cruces may be viewed by contacting the Diocese. 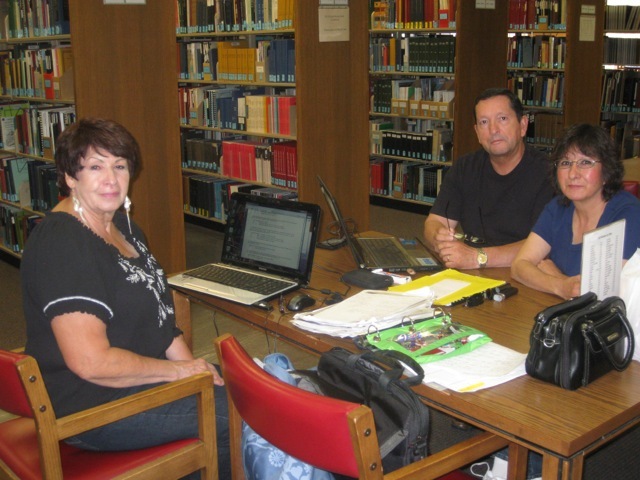 The Genealogy Center has some microfilmed records for this Diocese and books which are extractions of the records from Las Cruces, Mesilla, and surrounding areas.